Garmin devices (and probably other devices) now come with Open Street Maps of Europe pre-loaded. But if you plan to travel beyond Europe, you’ll need more maps. 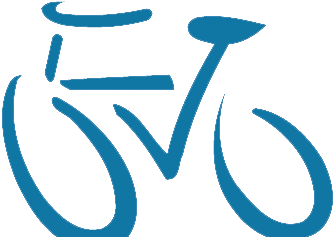 Whether you use Strava, MapMyride, Ride with GPS (my favourite) or, I imagine, any other route creation software, you will have no problem creating a route. 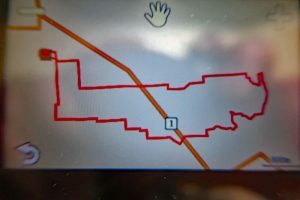 In this example, I wanted to explore the Adelaide hills in South Australia and created the route in Ride with GPS. 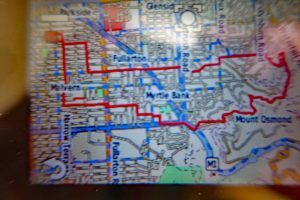 After loading the gpx file onto your Garmin or your Mio, you discover that the route you wish to navigate has no map beneath it, making it almost impossible to follow. Browse to http://garmin.openstreetmap.nl/ and at the top of the screen choose “Routable Bicycle (Openfietsmap Lite)”. Then choose Australia (under the Oceania tab, fifth box from the left). Drag and zoom the map so you can see Australia, which has been selected (dark blue). 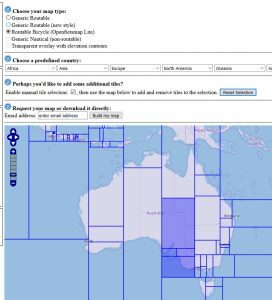 At this stage you could opt to download the whole map of the selected area (which includes most of Papua New Guinea). A map of this size would be huge and would take hours to download (maybe as much as 10 gigabytes and your SD card might only be 8GB). Choose “Enable manual tile selection” and then “Reset selection”. Now the whole of Australia has been unselected, allowing you to select just the bits you want. Zoom in and select the “tiles” you need. When you select a tile, it goes dark blue. If you click a second time, it unselects. Finally, enter your email address and click “Build my map” (see below). Quite soon (might take some time if there’s a queue) you’ll receive an email with a link. Go to the link and choose the gmapsupp.zip option. The map, with the tiles you have selected will be downloaded (probably to your Downloads folder). Right-click the zip file to Extract, accept the proposed folder and you will see the file you want: gmapsupp.img. Copy it to the Garmin folder on your SD card. (There won’t be enough room on the actual Garmin itself). Now you will be able to navigate anywhere in the world, just like you do at home.